Building a democratic European state is quite another thing. 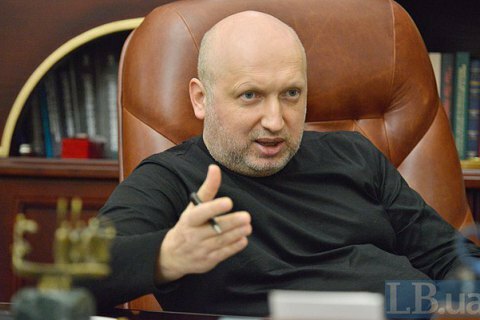 Three years after the Dignity Revolution in Ukraine one can say that the main requirements of the Maidan are fulfilled, the Secretary of the National Security and Defense Council Oleksandr Turchynov said in an interview with Censor.NET. One of the main tasks set by the revolution, says Turchynov, was to prevent the drawing of Ukraine into the Russian Empire. "It was a question of the existence of Ukraine as a democratic independent state. Yes, through blood, through ordeals, through the war, but we have defended our independence, we have pulled the country out of the sticky tentacles of the imperial octopus, and there is no turning back. We have burned the bridges. Therefore, we have fulfilled the main requirement of the Maidan," Turchynov said. He stated the belief that the basic requirements of the participants in the Dignity Revolution are met despite the host errors and unresolved problems. "The fundamental requirements that I have read to the crowds from the rostrum were the retirement of law enforcers who broke the law, the resignation of President Yanukovych and the government of Azarov, the reinstalment of the illegally abolished democratic Constitution of 2004, the holding of early presidential and parliamentary elections, the signing of the Treaty on the Association with the EU. All these requirements have been met," stressed Turchynov. The building of a democratic European state is a more difficult question, he said. "It was not in the resolution, but all those who stood on the Maidan, knew exactly why we needed European integration. Not everything goes the way it was meant to be. The war is making very serious corrections. On the other hand, Europe is changing and the world is rapidly and chaotically changing in a global whirlwind of change. Let's be honest - not for the best," the security supremo said. "Nevertheless, despite all these global, complex and dynamic processes, it would be unfair to say that we did everything we could," Turchynov admitted in conclusion. In December 2013, Turchynov announced the Maidan manifesto to a 50-thousand crowd of protesters at Kyiv's Independence Square.